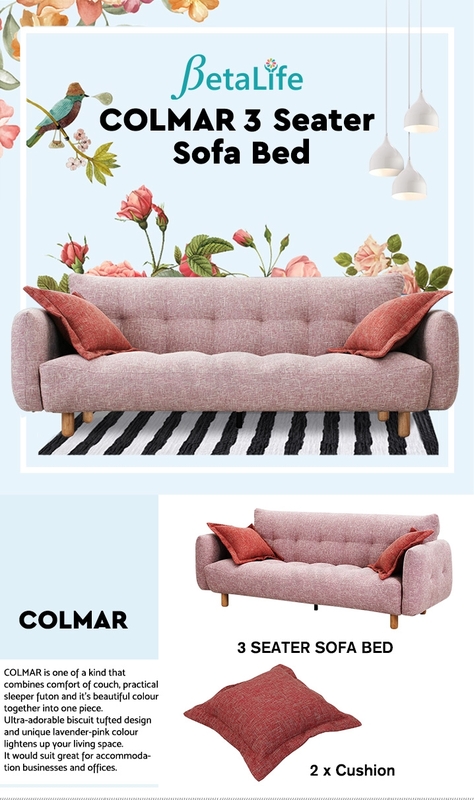 COLMAR 3 Seater Sofa Bed is one of a kind that combines comfort of couch, practical sleeper futon and it's beautiful colour together into one piece. 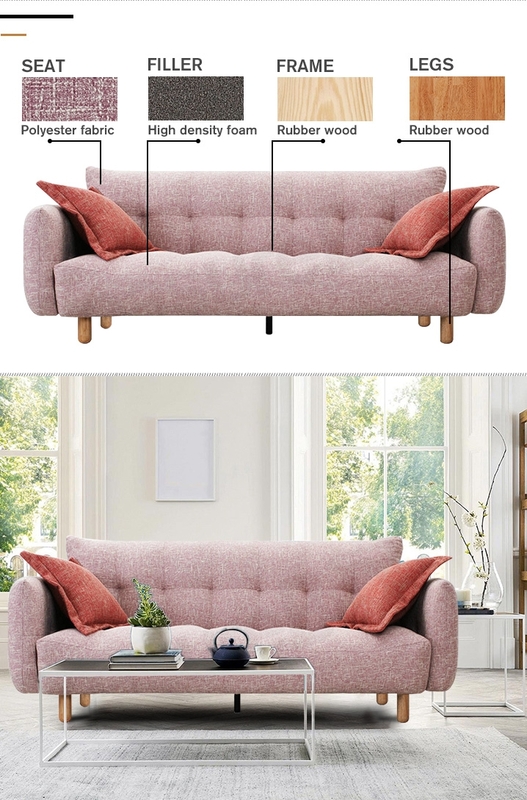 Ultra-adorable biscuit tufted design and unique lavender-pink colour lightens up your living space and it is easily convertible to a futon in seconds, simply unzip, pull out the supporting legs and lay the back down and there you go! 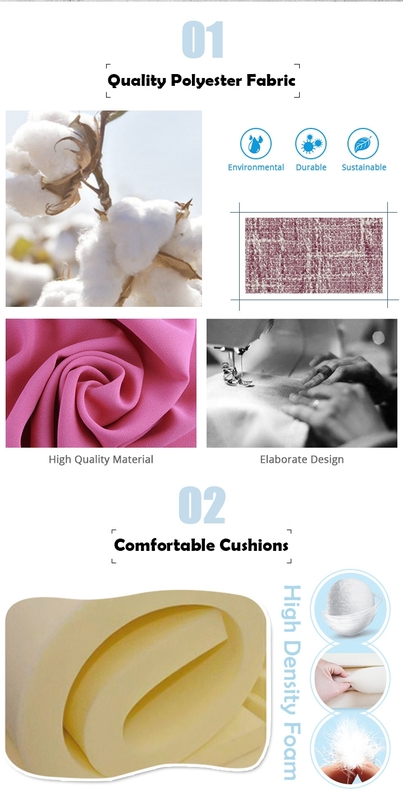 Upholstered by quality durable polyester fabric with removable armrests to sleep tight with sweet dream. Place one anywhere that you would possibly need a moment alone with peace and it would suit great for accommodation businesses and offices. 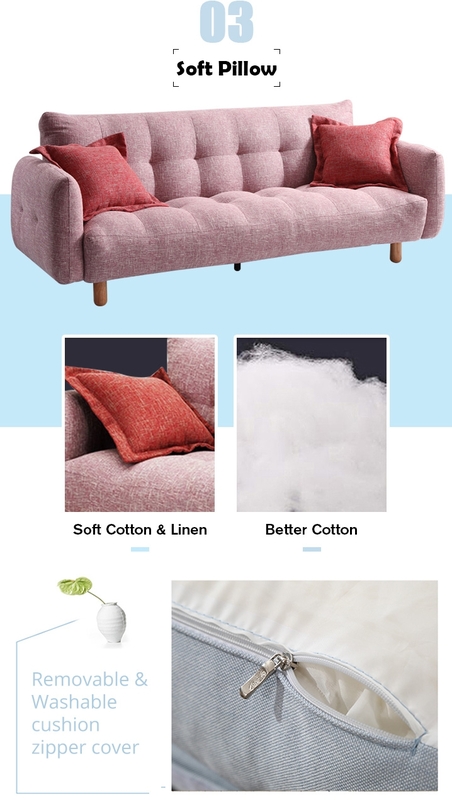 It is sofa and yet, it is bed and just when you think you may not get a good night sleep on a sofa bed, be amazed by the supportive cushioning; it would be there as a contemporary modern piece of art decor with beautiful round edged straight wooden legs, at other times as a comfy bed when you need to be lay-zy! Hmmmm....there is no better place than home!